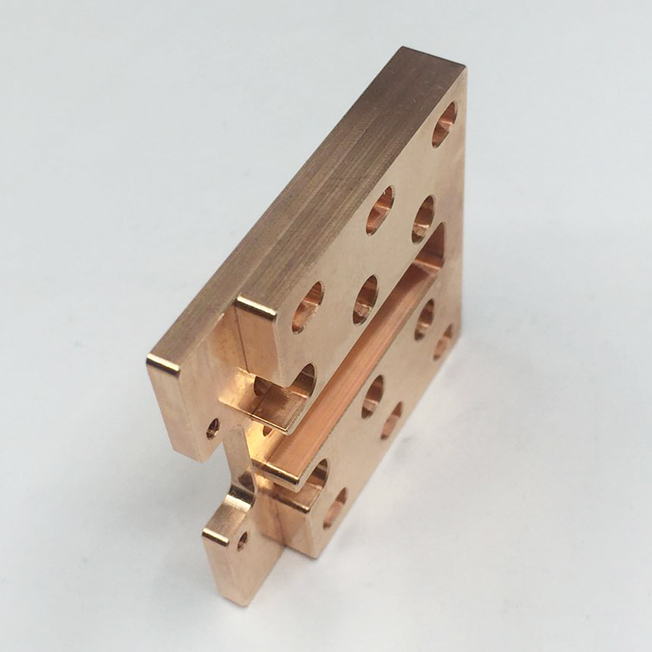 This is a machined copper fixed plate, which is used to fix the light source circuit of a flashlight. 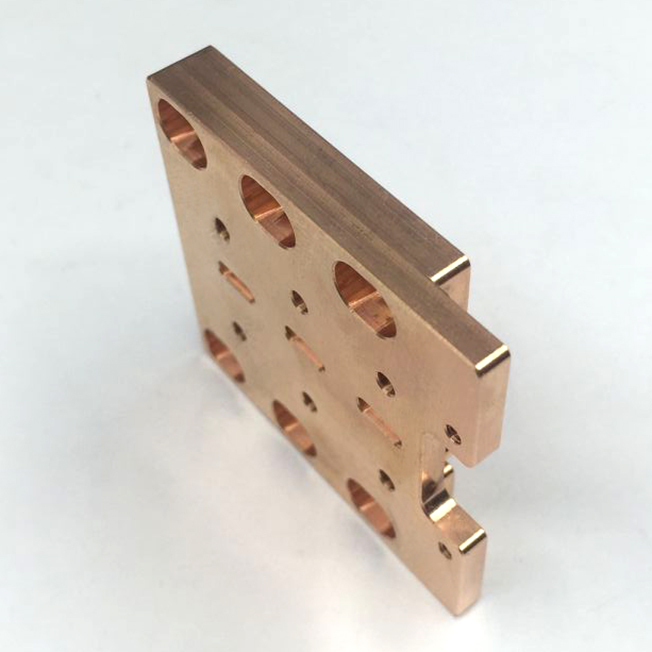 This machined copper fixed plate is using copper material, because it is also need to have conductive function. 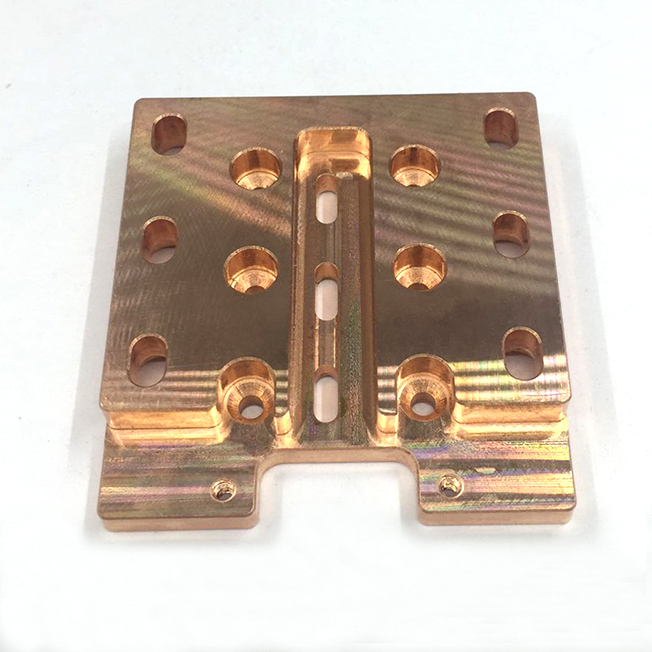 When Machining copper fixed plate, the stretch length of the cutter should be as short as possible, or use a relatively thick tool bar to improve the strength of the tool and reduce the deformation during machining, this has a great influence on the finish of machined copper fixed plate. The two edged intersecting position of finish machining copper fixed plate ball cutter should be thin, such tool is sharp and reduces the friction in machining. 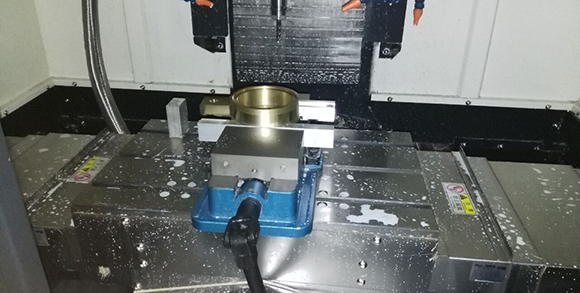 We offer industry-leading custom CNC Turning and milling. Our precision parts serve medical, communications, aerospace, drone, and robots. 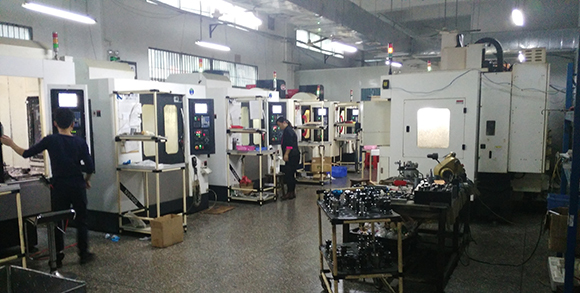 Providing the best CNC turning and CNC horizontal / vertical milling. Our extensive range of state-of-the-art CNC lathes and CNC turning machines meet the tolerances of ± 0.01mm. We have three types of machining copper: copper, brass, bronze. 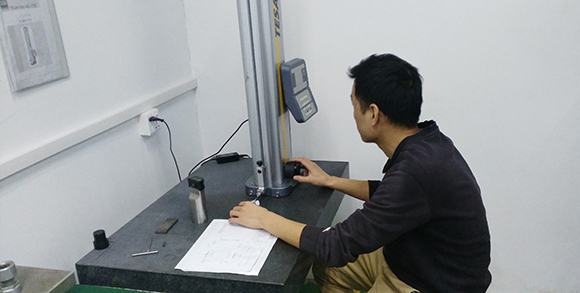 CNC machining including CNC Milling and CNC turning, cutting, grinding, milling, Sheet Metal Fabrication. CNC Milling Machining and CNC turnining materials are: Aluminum 6061, 6063, 6061-T6, 7075, 5052, 2017, 6082. Steel: Q235, 45#, A3, 718H, S136, SKD11. Stainless steel: SUS303, SUS304,( 54084236,1.4301), SUS316. Brass/ copper / bronze. Plastic: POM, Teflon, PA,( 54084237,PA66) PC, PMMA. Product surface treatment: anodiza (clear, black, blue, yellow, can also customize a variety of colors), sandblasting, spraying, passivation, laser engraving LOGO, silk screen LOGO. CNC Machining can import your Para-Solid 3D image files, PDF and IGES, STEP or SOLIDWORKS files. Please send in your 3d work and PDF for a quote. 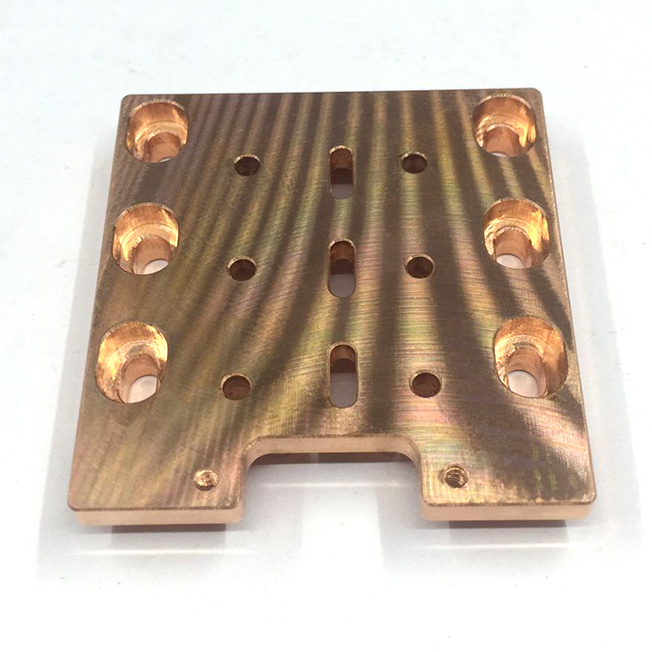 Looking for ideal Machining Copper Fixed Plate Manufacturer & supplier ? We have a wide selection at great prices to help you get creative. All the High Speed Machining of Copper Plate are quality guaranteed. We are China Origin Factory of Machining Copper Plate. If you have any question, please feel free to contact us.